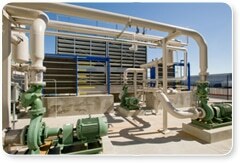 The HVAC Services Division at Alpha Energy Solutions offers repair, maintenance and also replacement. In fact, we provide service all year-round. Additionally, technicians are on-call 24 hours a day 7 days a week. Moreover, we are experienced. Service technicians at Alpha Energy Solutions have over 100 years of experience in field. Also, we can handle jobs of all sizes. In addition handing jobs large and small, we also cover many markets. Our technicians are skilled and well equipped. Further more, it does not matter if you need scheduled maintenance, or if you are having an emergency, we can help. In addition to quality service and quick turn-around, we also provide custom HVAC Preventative Maintenance plans. Additionally, the maintenance plans have been designed to meet your needs. Not only do the plans fit your requirements, they are also made to fit your budget. Moreover, having a preventative maintenance plan can save you money and reduce time offline. Next, review our HVAC services to see what we are capable of handling. In addition to the many types of units that we service, we also specialize in a number of services. In addition to the many facilities that we service, we also offer rentals that fit your budget. We understand your cooling needs and as a result can help you find a system that is right for your needs. Finally, for more information on how Alpha Energy Solutions can meet your Commercial or Industrial HVAC Service needs, call us toll free at (888) 212-6324 or click here to contact us.